It would not be right for us here at Rose-Bushes.com to end an other year without talking about the Tournament of Roses Parade. 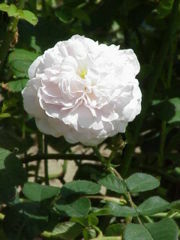 Roses and rose bushes play an important role at the parade, so here is the low-down. 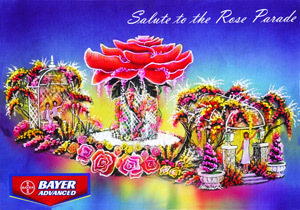 As part of their salute to the Rose Parade, Bayer Advanced will put a rose in space on January 10, 2008. Rain Bird is getting set to deliver a dozed years of participation in the Rose Parade. They are celebrating the world’s most precious resource through their 2008 Tournament of Roses(R) Float. Let’s first look at the history of it all. The first Tournament of Roses was first put together in 1890 by some members of the Pasadena, California Valley Hunt Club. Apparently, former residents from the Eastern part of the U.S. and the Midwest part of the United States were very eager to show everyone how mild the weather in Southern California was. So, they decided to showcase their roses during a festival. After a few years, the festival expanded to include marching bands and floats. The games originally included ostrich races, bronco busting demonstrations and a race between a camel and an elephant (of course the elephant always won). Stands were eventually built along the Tournament of Roses Parade route, and newspapers from the Eastern cities in the United States began to cover the event. In 1895, the Tournament of Roses Association was officially formed to run the rose festival, especially because it was too big for the Valley Hunt Club to handle. 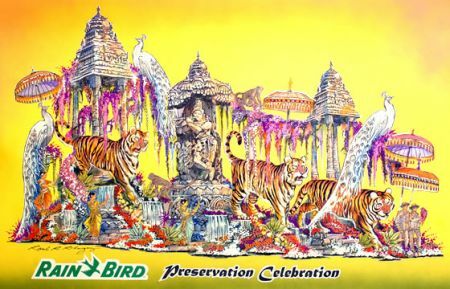 Originally, the rose floats in the parade were motorized–but now the Rose Parade’s floats have animation and exotic natural materials imported from everywhere around the world. A few floats are still built exclusively by volunteers from their sponsoring communities, most rose floats are being built by professional float building companies–they take about a year to make. The Rose Bowl college football game has been sold out every year since 1947. The college football game in 1947 was the first game played under the Tournament of Roses’s exclusive agreement with the Big Ten and Pac-10 conferences. The 1998 Rose Bowl Game was the 52nd anniversary of that agreement, the longest standing tradition of any collegiate conference and a bowl association. Now, as part of the Bowl Championship Series, the Rose Bowl has hosted the National Championship Game between the top two teams in the nation in 2002 and 2006, and will host the National Championship again in 2010. The “Rose Bowl” is an annual college football bowl game in the United States, and is usually played on January 1st (New Year’s Day) at the “Rose Bowl” football stadium in Pasadena, California. When New Year’s Day falls on a Sunday, the game is then played on the following Monday. Keith Jackson, the sportscaster, gave the Rose Bowl game a nickname, “The Granddaddy of Them All”. The Rose Bowl is the oldest the most prestigious college football bowl game. 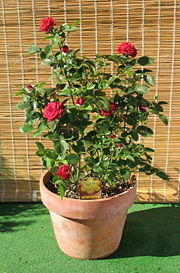 The Rose Bowl is part of the annual Tournament of Roses event, that also includes the Tournament of Roses Parade. On January 1, 2008 at 2:10 p.m. Pacific time (following the annual Rose Parade), the 94th Rose Bowl Game presented by Citi will feature the University of Illinois Fighting Illini and the University of Southern California Trojans in “The Granddaddy of Them All(R)”. The Rose Bowl will be broadcast ABC television and on ESPN radio. According to freedomblogging.com, the average price of tickets purchased for the New Year’s Day bowl in Pasadena has dropped for a third consecutive week. They report that TicketsNow says that prices for Rose Bowl tickets have changed. The starting price was listed at $542, but has since fell to $436 for the average price of tickets already sold. Because we’re such a fan of the Rose Bowl, we’ve put together a collection of our favorite Rose Bowl merchandise and memorabilia from past games.